The CoffeeShop Blog: CoffeeShop "Fine Art Texture Set #3"! 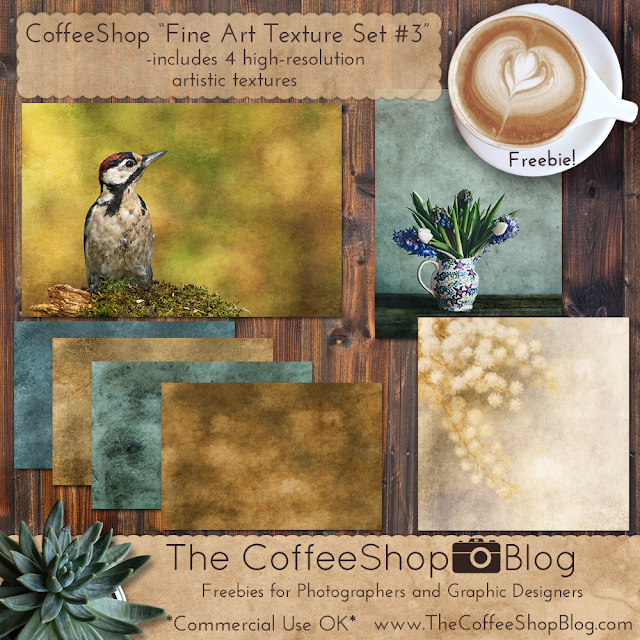 CoffeeShop "Fine Art Texture Set #3"! 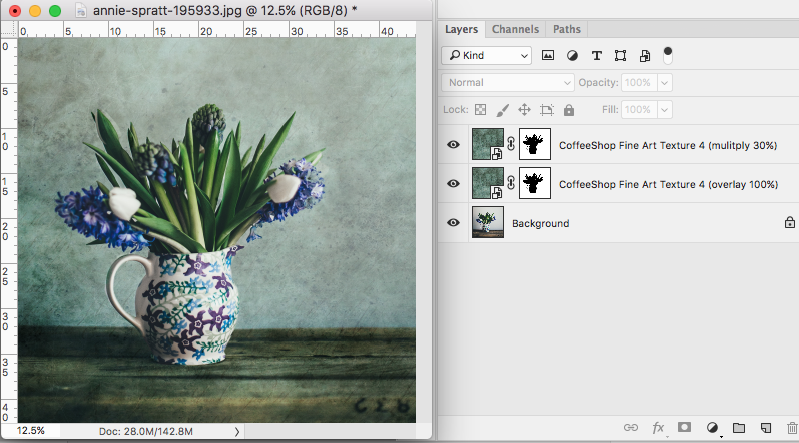 I absolutely love using digital textures on my images. It is a fast and easy way to add color and texture to create stunning art. And it is so easy to use them in Photoshop and PSE. Today I created a new set of fine art high-resolution professional textures. I think you will love these textures, they are really beautiful. You can use these in Soft Light, Overlay, Multiply, or Screen blending modes on images or use them as simple digital paper in your designs. You can check out my other textures and digital papers! And like almost everyone I post for free on my blog, you can use them personally OR commercially with no attribution necessary. I only ask that you don't resell them "as is" because I like to keep them free for everyone. 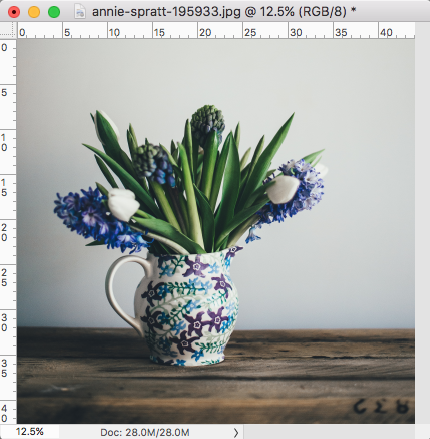 Images used in this post from Unsplash: Signs of Spring by Annie Spratt, White Flowers by Elena Ferrer, and Woodpecker by Vincent van Zalinge. For this edit I added Texture 4 in 100% Soft Light and 30% Multiply blending modes and masked out the flowers. I hope you have fun playing with this new texture set! I would love to see your own edits using them on my Facebook page. Download the CoffeeShop "Fine Art Texture Set #3". You are so welcome Priscilla! Ooh nice. Love your textures! Thanks so much. Thank you Lisa! I love making them.